trying to stay active in blog land. ok today here is my card for dear hubby for Valentines. 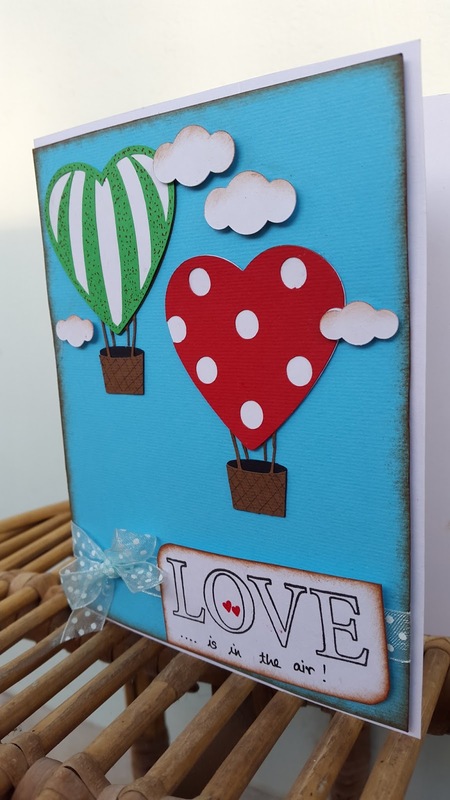 Made a card for simply the reason of crafting after a long while, no orders, no commission. Its been long since i made simple open n close cards, i prefer interactive and multi layered cards but this one was fun creating. It was a quick one. 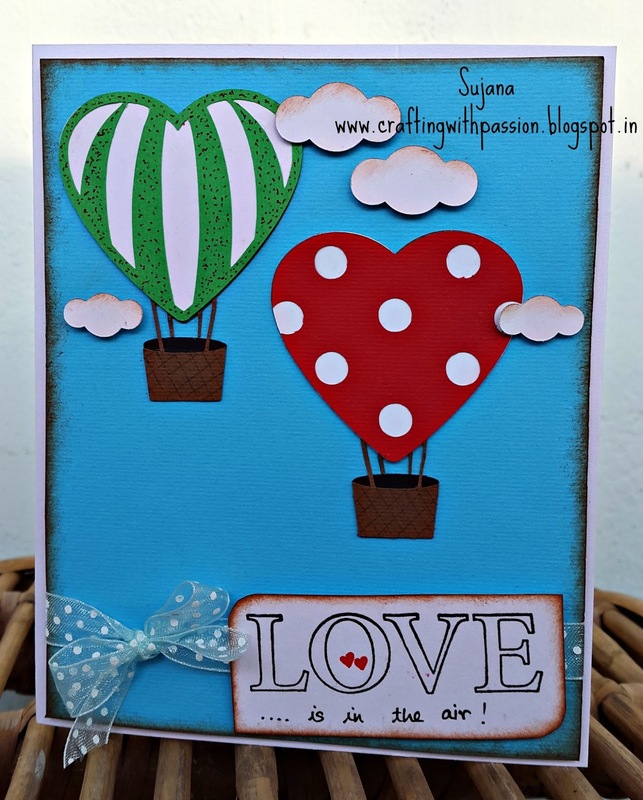 The hot air balloons are cameo cut as i dint have a die for it. I added the basket weave design for slight texture. Slight distressing and doodling here and there. 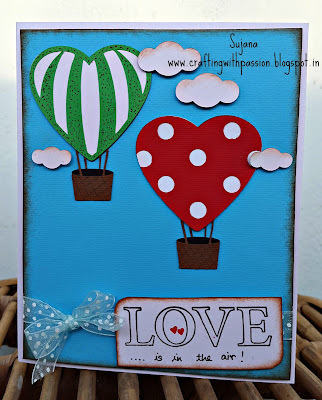 Cute card Sujana...I like the heart air balloon..
Sooo cute it is Sujana ! !